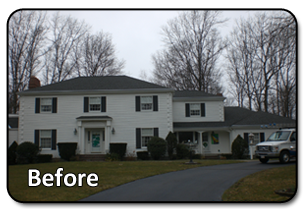 If you have been following our project profile series, you'll notice that this is the second project in Danvers, MA! 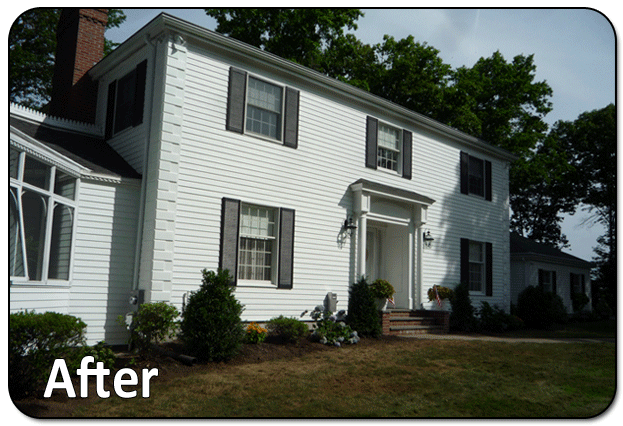 Its no surprise that we would add another project from Danvers; its only right seeming that it is home to many of our customers who installed Everlast Composite Siding. Those who are looking for quality siding contractors should look no more and see first hand the marvel that Everlast Composite Siding is. This is one of our Polar White projects and the very first home that was done in the 4.5 inch version of Polar White. 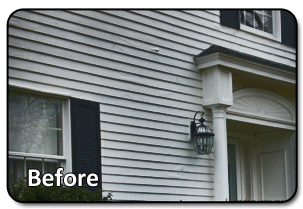 These local homeowners had a gorgeous home from a distance, but were tired of the chips of peeling paint and buckling that was on their existing fiber cement siding and wanted a siding that was superior. Easy choice for the homeowners, once Everlast was presented to them. They decided on taking the first Polar White colored Everlast in the 4.5-inch clapboard and an entire demolition of the exisiting siding was required. The new Everwrap moisture barrier was installed and the new Everlast Composite clapboard was installed over it with stainless steel, ringshanked nails. These homeowners were ecstatic was the project was completed and who could blame them? This house is beautiful!